This magnificent two-storey garden apartment is located in the beautiful Wellington Crescent, a famous Regency Terrace directly facing Ramsgate’s seafront with views over the English Channel. A Touch of Luxury -Sea Views, garden, located only 5 minutes from the beach, bars and restaurants. This magnificent two-storey garden apartment is located in the beautiful Wellington Crescent, a famous Regency Terrace directly facing Ramsgate’s sea front with views over the English Channel. It was once the bolt hold of the famous English Poet – Samuel Taylor Coleridge and is located just a five minute stroll from the picturesque Ramsgate Royal Harbour and all the bars and restaurants. The apartment occupies the ground and basement floors of the building and is set back from the street. The property can accommodate up to 6 adults with three good-sized double bedrooms, all of these can be found on the lower level of the two-storey duplex apartment. 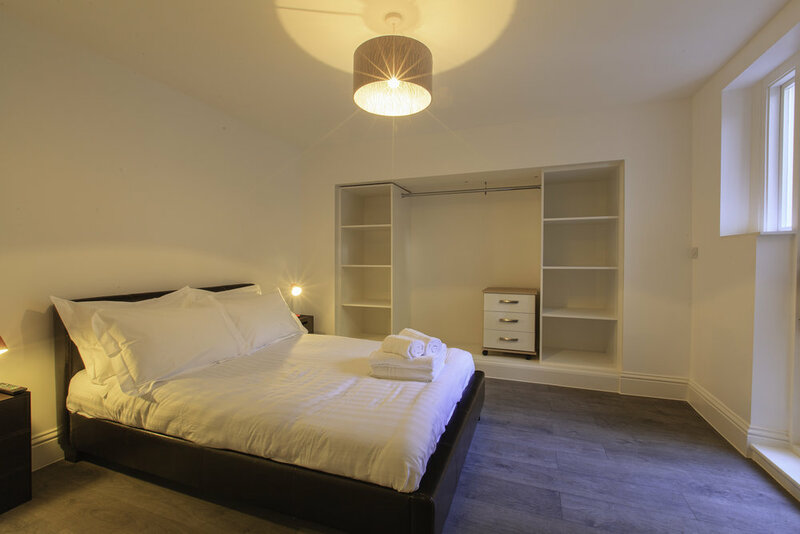 The master bedroom is to the front of the apartment and has a modern en-suite. The other two double bedrooms can be found towards the rear of the building one with out door access to the garden. There is a lovely family bathroom on the basement floor of the apartment with a bath/shower - very convenient for the whole family. The kitchen has a built in fridge-freezer, dishwasher and with two ovens and a microwave and It is fully equipped with everything you need to meet all your dining needs with dining seating for six. 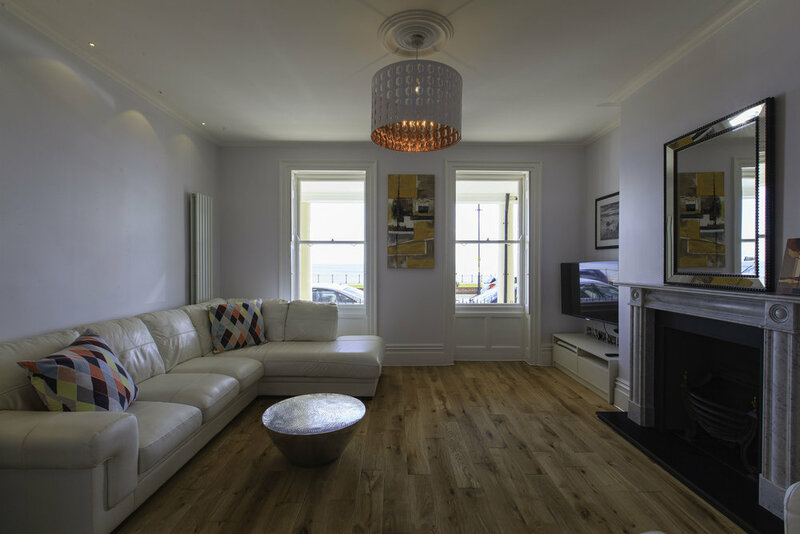 The open planned living area has wonderful sea views and is decorated to a high standard The living room has a large TV for family viewing at night and comfortable seating in the large sofa and armchair. The property boasts a separate utility room with a washing machine and dryer and a cloakroom toilet. There is parking on the street with no parking restrictions. Enjoy alfresco dinning in the patio garden, which also has the added benefit of a sheltered area great for storing bikes if you wish to ride along the coastal trail.